The Yellow Vest anti-government movement (#YellowVests, #GiletsJaunes) began in France on November 17, 2018, when over 300,000 people across France protested a carbon tax on fuel. President Emmanuel Macron claimed the French were leading the world in the battle against climate change. The Yellow Vest protests evolved rapidly into an all-out general anti-government movement that was supported by 70% of the French population. When Macron was forced to back out of the tax, the first thing he did was look for something else to tax to make up the difference. Then the French government had to ask Brussels for an exemption from austerity. This all proved one thing — the fuel tax was really about just raising taxes. 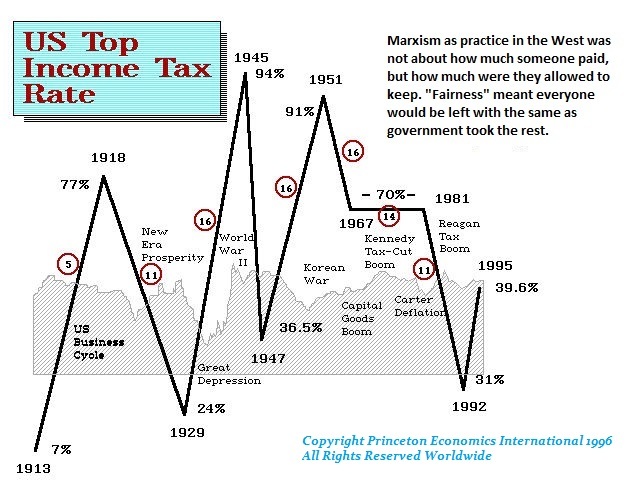 The New Democratic Socialist Party, headed by Schumer and Pelosi, is advocating dramatic increases in taxation following the same course as the other countries on the list below. Our model shows that the Trump Tax Cuts were merely a reaction within a broader bull market trend. That means we should be looking for the next peak in tax rates in 2026. 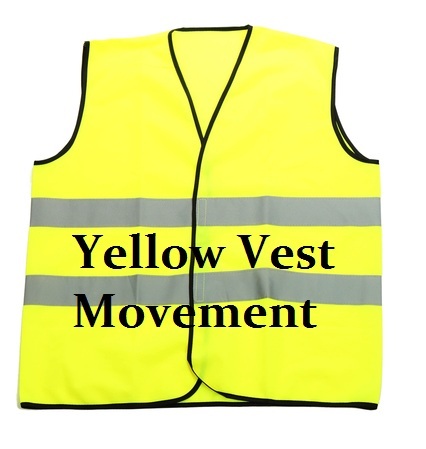 We should begin to see the Yellow Vest emerge in the USA in 2020.